As fall settles in, students all over the country are heading back to school to earn an expensive degree that takes years to complete. Some students bypass college in search of jobs that don’t require a degree, leaving them without the burden of college debt. College isn’t for everyone, and that’s okay. What’s important is gaining a skill set so you can provide for yourself throughout your lifetime. 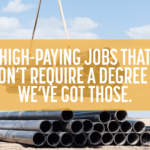 There are plenty of jobs that don’t require a degree within the crane industry. When referencing salary info for these high-paying jobs you can get without a college degree, note these are straight pay estimates and they don’t include any overtime pay. As a certified signalperson, your average salary nationwide is $50,000. The highest earners reside in Denver, CO and they pull in over $63,000 every year. A certified signalperson is responsible for giving hand and voice signals to crane operators. Signalpersons are responsible for ensuring the safe movement of all loads, and you must relay your signals confidently. More information on obtaining your NCCCO Signalperson Certification can be found here. Certified riggers can expect to earn around $50,000 per year on a national average. In states like New York, Oregon, and Hawaii, you can earn upwards of $66,000 annually. 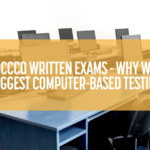 NCCCO defines this role as, “a person who has been trained and certified to handle and move loads. The level of certification depends upon the individual’s training, knowledge, skill base, and ability to perform functions related to the selection, inspection, and proper use of rigging equipment.” Depending on your level of certification, your responsibilities can vary. You can get a full rundown on rigger training here. Certified operators in states like New York, New Hampshire, and Alaska can expect to make over $80,000 per year in the seat. On a national average, operators are bringing home a respectable $55,000 in salary every year. There are many variations to crane operator certifications, and there are even more types of cranes that you might operate. In the end, the job of every operator is to use their machine to move loads in a safe and efficient manner. 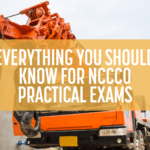 If you’d like to see more information on NCCCO operator certification you can visit here. As the individual responsible for the overall safety of lifts to be performed, the role of the lift director carries many responsibilities. The use of certified lift directors within the industry is new. Some states and cities require lift directors to oversee specific types of lifts. Keeping up with new regulations keeps Certified Lift Directors busy. So busy they haven’t had time to tell people how much their average salary is yet! Through discussions with our industry experts from all over the country, we’ve found that Certified Lift Directors are being paid between $150 – $225 per hour. Information on the NCCCO Certified Lift Director Certification can be found here. University life isn’t for everyone. Sometimes experience is the best teacher. There are plenty of businesses that are currently ready to give you jobs that don’t require a degree. Commit yourself to join the crane industry, study the materials, take a Train For The Crane training session, and get your certification without the worry of college debt. 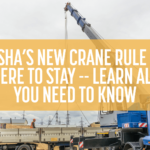 While you’re here, don’t forget to check out our blog full of Tips From A Crane Operator Course and information on How To Get Crane Operator Certification. If you’ve got questions, send us a message here, and we’ll get back with you soon.